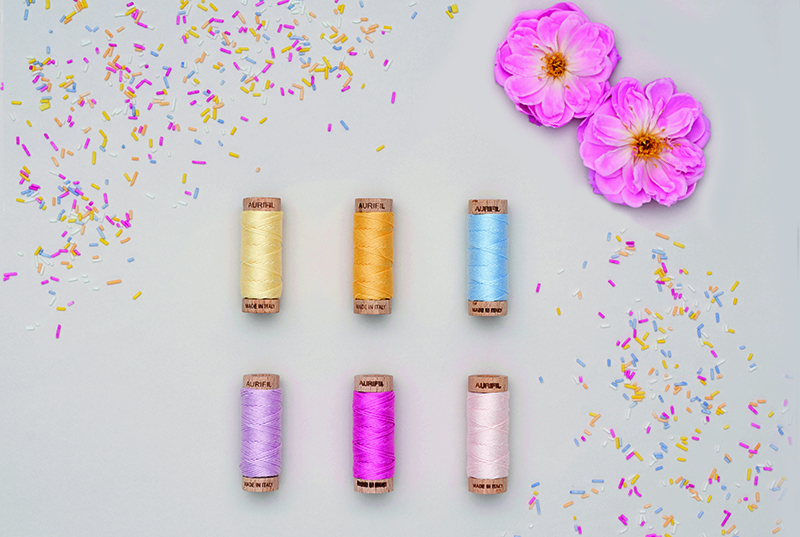 Here at Aurifil we’re thread makers… thread lovers… thread addicts, really. We simply can’t get enough of it! We could talk about thread all day and all night. Does that make us dull? We certainly hope not! 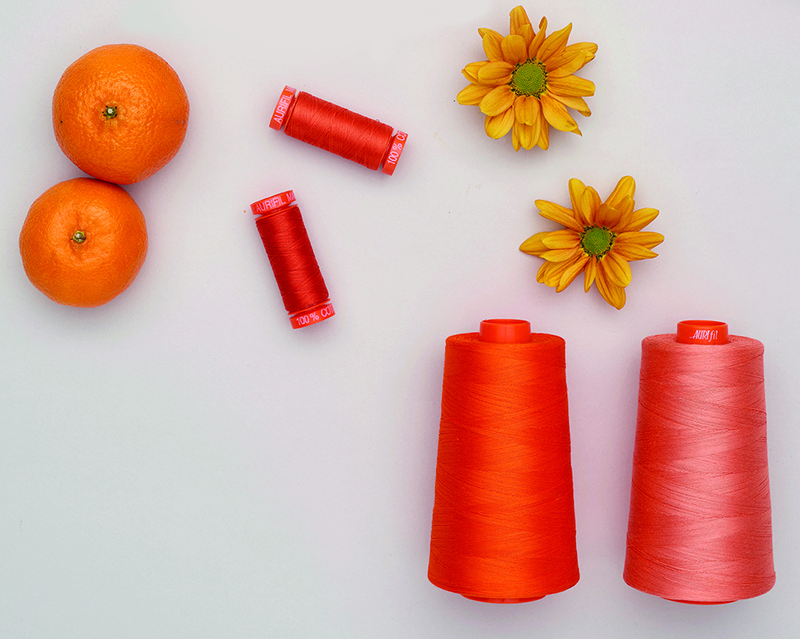 With 270 cotton colors and 7 different cotton thread weights, our thread range has a little something for everyone – from simple straight line quilting, to detailed illustrative quilting, to hand quilting, and so much more. The perfect choice for both piecing and quilting, the 50wt is our most popular thread, favored by both beginner and expert quilters. Best needle choice: use a 80/12 Microtex/Sharp, Universal, Quilting, or Denim Needle OR a 4.0 Longarm Needle. Use 50wt in the bobbin too. Our 50wt thread is truly our workhorse.It is the go-to for a large percentage of our designers, offering crisp flat seams for precision piecing. 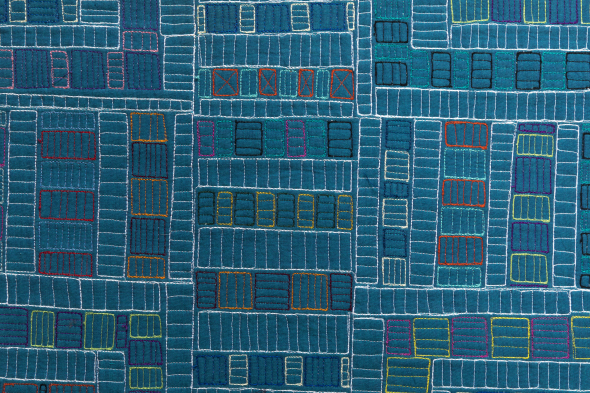 For quilting, it offers subtle definition and is the free motion quilter’s perfect companion. Aurifil Designers Wendy Sheppard of Ivory Spring and Christa Watson of Christa Quilts both use 50wt as their go-to quilting thread. 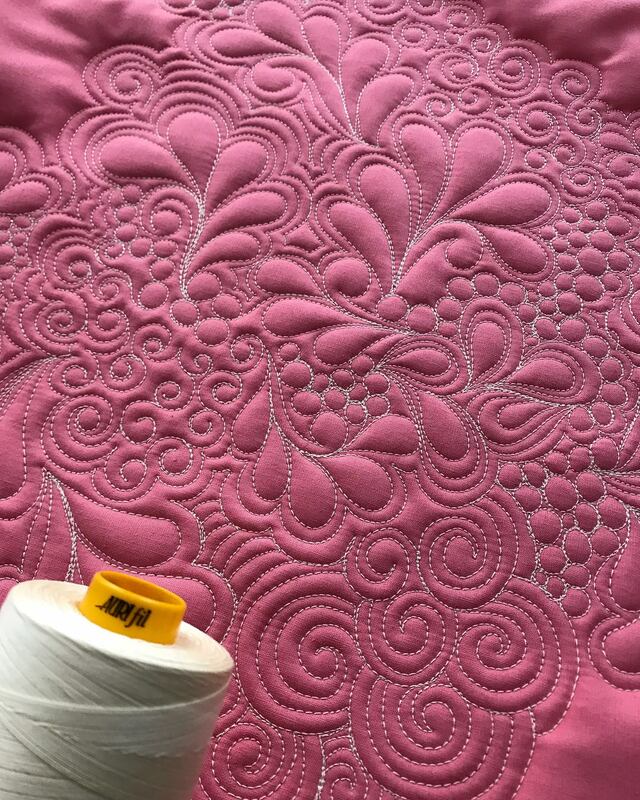 We just love the detail that they are able to achieve with their spectacular free motion quilting skills! 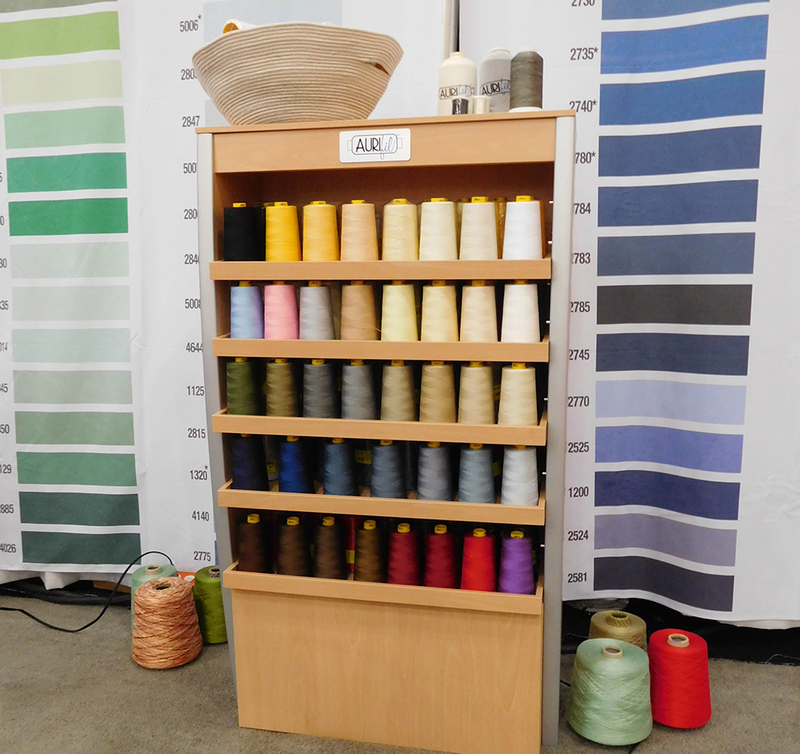 Aurifil 40wt thread has all the benefits of our 50wt, but with even greater definition. It is strong enough to withstand fast, dense stitching, and thin enough to support intricate detail. Barbara Persing of Fourth & Sixth Designs uses 40wt as her absolute go-to, for both piecing and quilting. One of her latest creations, Firelight Pink Peony, just took home a prize at the AQS show in Lancaster, PA! 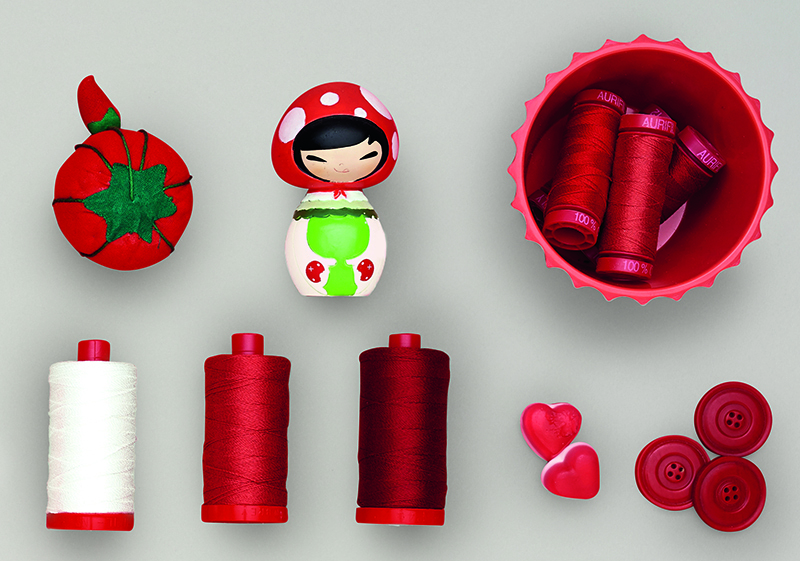 Our 28wt thread is an amazing option for when you want your machine quilting to really shine. The weight of the thread allows for increased stitch definition so that the thread itself is as much a part of the finish look of the quilt as the fabric. Our 12wt thread, while perfectly lovely for use in a machine, is typically the go-to for hand-quilting. Strong, with enough heft to make a striking visual impact, it is both easy to use and produces fantastic results. 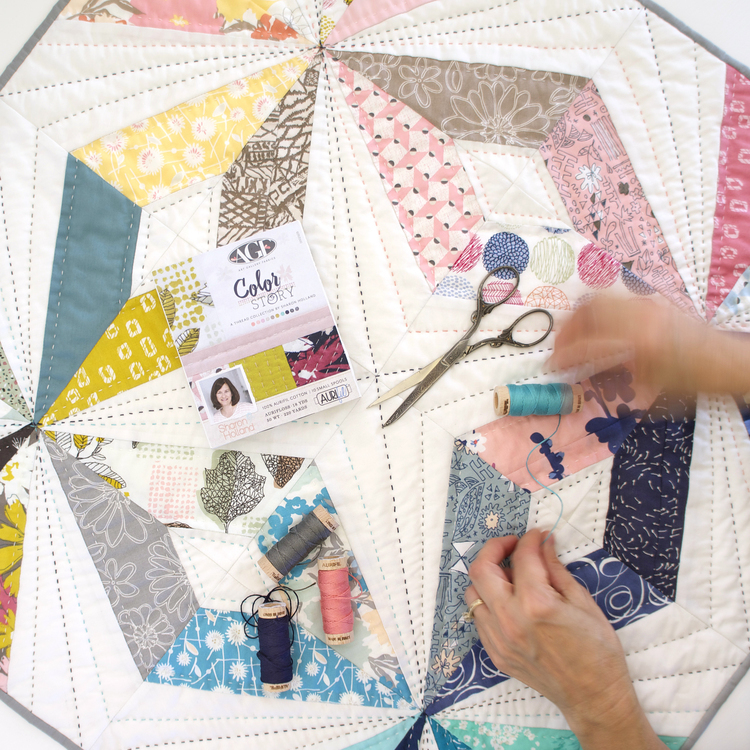 Aurifil Designers Sarah Fielke and Anna Maria Horner both use our 12wt for all of their hand quilting. Our Forty3 threads are the new kids on the block. 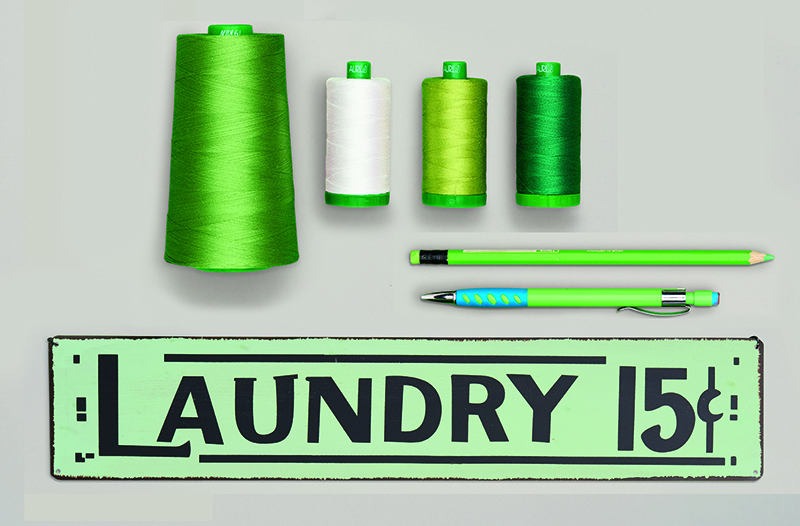 Introduced in Houston last Fall (2017), they have all the versatility and lustrous color of the original 40 weight threads, with the added benefit of extra strength. Our 80wt thread is delicate and a wonderful choice when it comes to applique, but it is also a fantastic option for detailed & delicate machine quilting! Carolina Assmusen used 10 different shades of Aurifil 80wt thread to create this stunning mini quilt she has named “Spring Snow, New England”. The thinness of the thread has allowed her to fill in a large amount of thread painted details without distracting from the overall piece. At first glance one would assume that our floss is purely for embroidery or cross stitch, but it is also a great choice for hand quilting. Aurifloss is a 6-strand separating embroidery thread that allows you the ability to choose exactly how thick you would like your hand quilting to be. 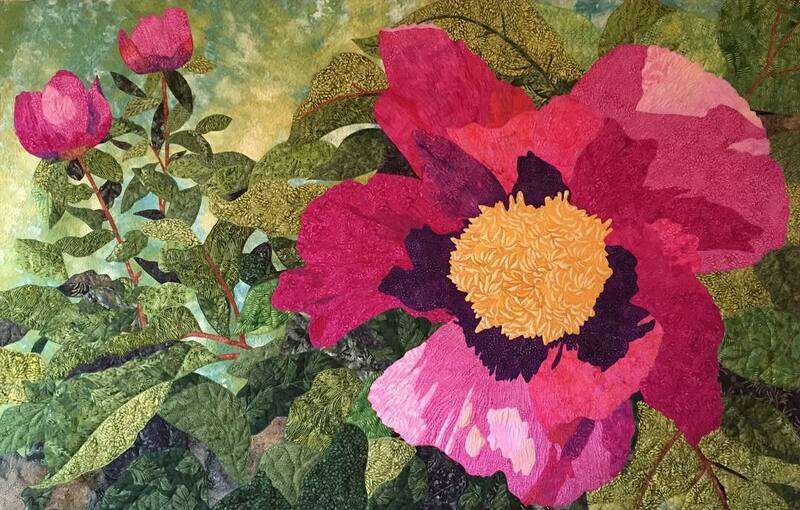 Aurifil Designer Sharon Holland used Aurifloss from her Color Story thread collection to hand quilt this beautiful quilt. Our monofilament thread is a fantastic option if you are quilting a highly colorful quilt yet do not want to make several thread changes throughout the quilting process. 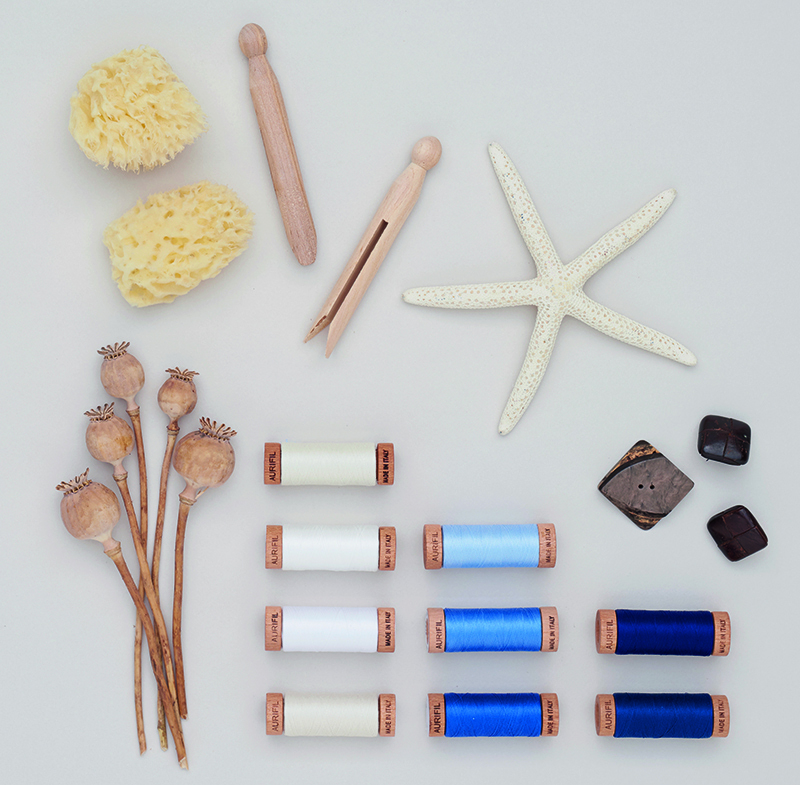 Aurifil Designer Felice Regina of I Am Luna Sol uses it often in her quilting. One example is her Tula Nova quilt. She was able to create a custom quilting design without worrying about the thread overpowering the piecing and fabrics. So, the moral of the story is, of course, that ALL Aurifil thread is wonderful for your quilting projects, it truly just depends on your mood, your desired quilting result, and your preferred method of quilting. We’re including some additional resources that may prove to be handy as you make your quilty decisions. We can’t wait to see what you make! Happy Quilting!